What a better gift for wine lovers, than wine delivered to their door? The best way to buy wine as a gift, is to buy a pre-paid, set number of deliveries for your gift recipient. When the UPS man comes knocking at your door, with adelivery of wine -- wouldn't you be happy? Of course you would! Every wine lover would love to have wine delivered to their home or business. And, when you give wine via wine deliveries (more than just one), then a wine club is the best way to go. To buy wine as a gift, via wine club, here are the steps: 1) Know your recipient. Do they like red or white wine? Do they like both? If you're not sure, then simply choose a "mixed wine" club, where the wine is delivered with both red wine and white wine. 2) Know your budget. You can find great wine clubs that fit your budget. If you want to give a gift of $100, or $150, or $200 -- whatever the budget: It's really easy. 3) Select the Wine Club. 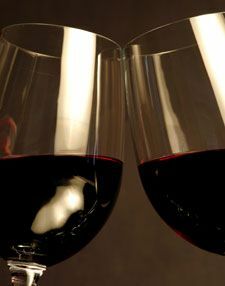 Just find a wine club that suits your needs, then choose the number of deliveries that you want that hits your budget. It's that easy! Most wine clubs deliver wine in 2 bottles of wine shipments. The most popular wine club to buy as a gift is only $30 per shipment. Therefore, if you want a gift that is under $100, you simply choose 3 shipments. If you want to wow the gift recipient all year long, then 12 shipments would be $360. If you'd like more help choosing a wine club, then you may want to get a free wine club buyers guide. Or, check out Wine Club Reviews & Ratings if you simply want to get some wine club reviews to help you make your selection.